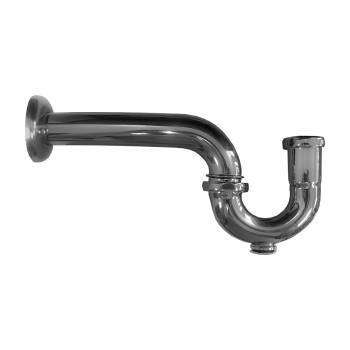 Quick draining chrome-plated brass P-trap 3 in. H x 11 1/4 in. proj. less the nut x 1 1/4 in. O.D. P-Traps: This chrome p-trap fits all of our sinks and faucets. Brass p-trap is chrome-plated. Overall projects 11 1/4 inches without the nut. 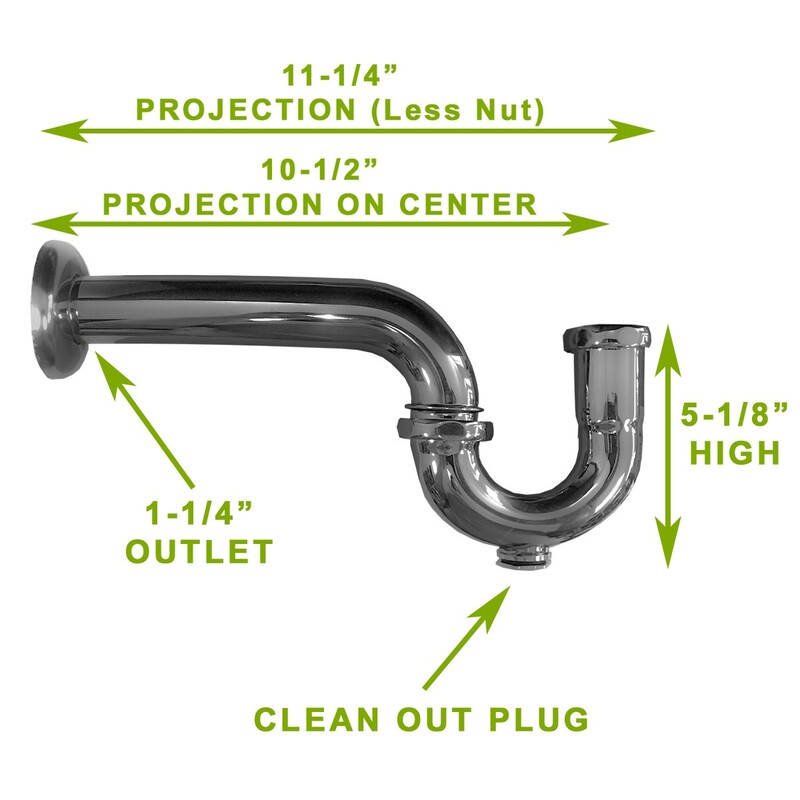 Inlet and outlet 1 1/4 inch outer diameter. 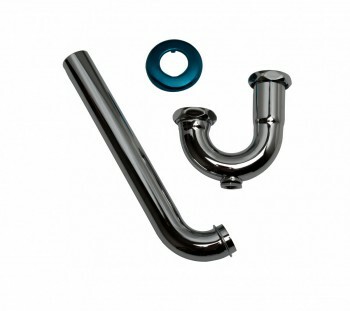 Includes, p-trap, wall flange, 2 nuts and gaskets.